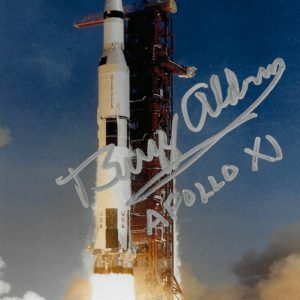 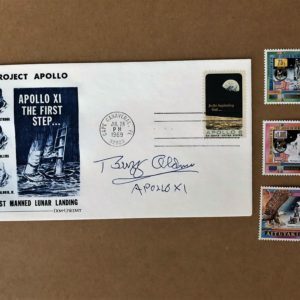 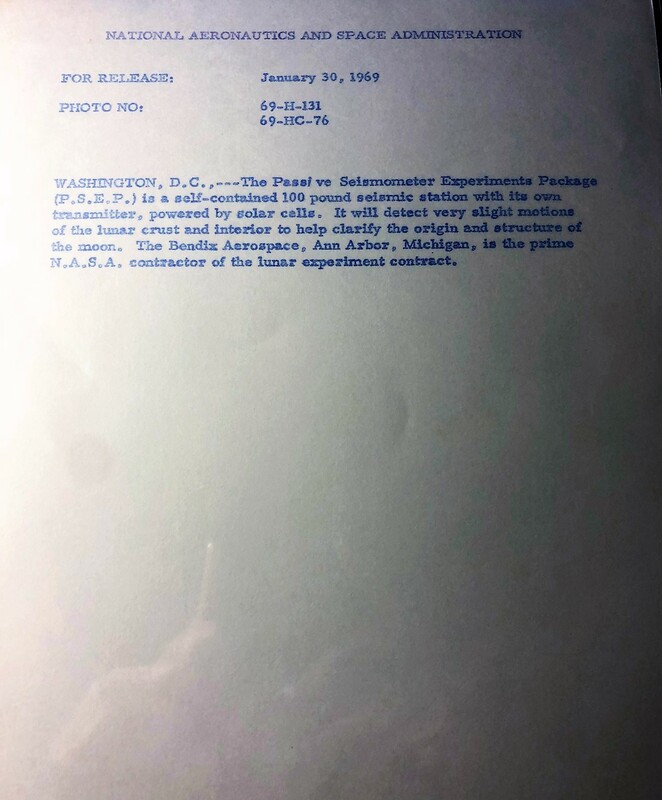 Only one available – Dated January 30, 1969, this vintage NASA photo release is authentically signed by Buzz Aldrin. 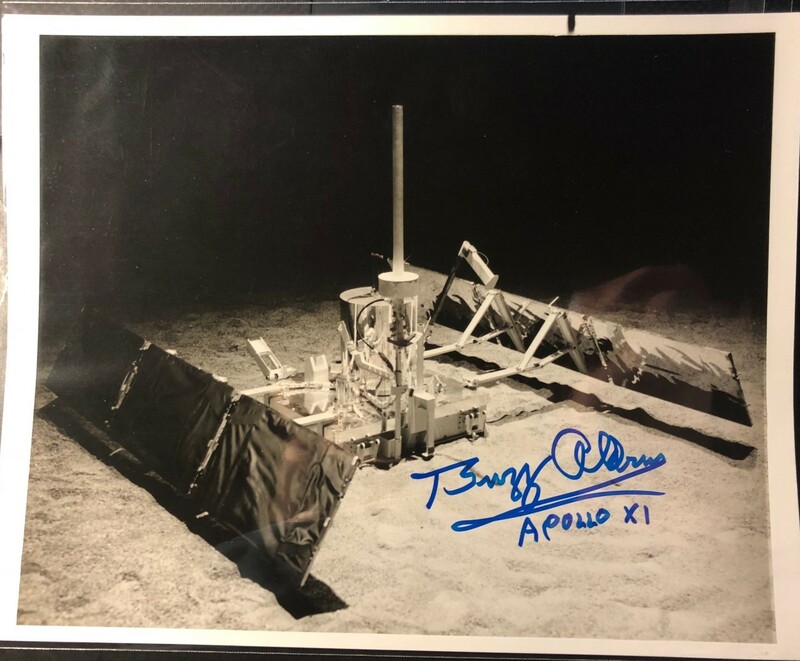 The front displays a picture of the lunar experiment and the reverse describes the mission in detail. 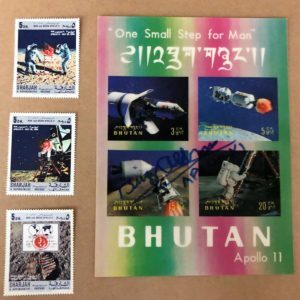 NASA sent photo releases to the media to generate support and inform the public of news. This photo is accompanied by a certificate of authenticity.